Ready to have your mind blown? In this episode, I’m sharing our SECRET step-by-step process to creating webinar funnels! Team Hirsh is all about retargeting ads for our clients because they’re cheap and effective. Learn how to perfect your own webinar funnels by using retargeting that speaks to your audience based on the actions they’ve taken and the objections they have. If you use webinars in your marketing strategy, this episode is a Must-Listen. Get ready to take some notes! I am so excited about today’s episode! Today I’m going to be sharing with you guys our secret webinar funnel that we build within Facebook Ads. Webinars are definitely our team’s jam. Probably 85% to 90% of our clients have a webinar. We know live webinars, automated webinars, weekly live webinars, live launches with webinars… super well and have mastered a funnel that we build within Facebook Ads manager, for the actual webinar. What that basically means is: We create a series of ads that people see based on actions they have taken throughout the webinar funnel. It maybe sounds complicated, but once you get it set up, it’s actually not that complicated. Because, you have these audiences set up – and the audiences automatically update – it continues to show the ad to the right people. I’m going to share that with you guys today, and I think it’s extremely valuable. You might want to take some notes, but it works really, really well for our clients. We’re all about those retargeting ads, because they’re cheap and effective. Our webinar funnel looks like this. You’ll notice here that it follows The Hirsh Process as well. Step 1 – that we do for all of our clients – or, Phase 1 and top of funnel (if you want to call it that) would be the visibility piece. We’re always running traffic to Facebook lives or a video of a client to cold traffic. Usually, we choose a couple of ongoing videos so we can build up the social proof to hundreds of thousands of views and comments – and they end up getting favored in the feed. That piece we’re always doing. We’re doing cold traffic to some sort of visibility, preferably video, and we’re spending 5-10 percent of the budget on that piece. Then we run webinar registration ads – so that’s actually getting completed registrations to sign up for the webinar. In this case, we target usually both warm and cold traffic here. We’re obviously leveraging the audiences that we found from that visibility piece. We’re leveraging them for, not only retargeting, but also lookalike audiences and different data to get more cold traffic into the funnel. 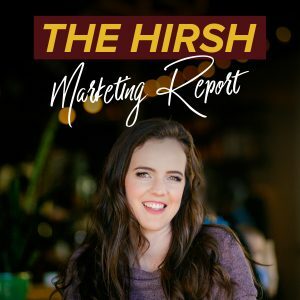 We’re putting probably about 75-80% of the budget into this webinar registration, which is lead generation, Phase 3 of The Hirsh Process; and we’re driving traffic to the webinar. This is where you would have a bunch of different versions of creative [ads]. You would be constantly putting new versions of creative [ads] here and getting x amount of registrations in, based on whatever you brainstormed [in Phase 1]. Then we sometimes even go as far as saying, “If you comment on the ad, I’ll shoot you a workbook through your messenger that you can show up to the training with.” What we’re doing there is (1) in between when they sign up for the webinar and the webinar happens (sometimes it can be five or six days), we usually run webinar ads seven or eight days before the webinar, depending on how much testing we need to do. We’ll do it eight days if we need to test some creative, [but] seven days is really how much I want to run ads, because any more than that, and I think people forget; any less, and it’s really hard to get big numbers. We’re running ads for seven days, so [someone could sign up maybe] 6 days before the webinar happens. What’s my goal? I want to stay top of mind. I want to give value. I want people to remember that they signed up for the webinar, so I’m going to show them a super cheap, $5 a day engagement ad, and I’m going to get them to subscribe to my ManyChat so that I can send them a Messenger reminder when I go live. Is your mind blown yet? That will work for live webinars, not evergreen. For live webinars, that’s what we do for engagement in between sign up time and webinar. After the webinar, there’s two paths that somebody can take for retargeted ads. One, they signed up for the webinar, and they didn’t show up. What is the action that you want them to take? We want them to watch the webinar. For the first 24 hours after the webinar only (remember that! )… For the first 24 hours, we send people who signed up and didn’t watch the webinar to a replay. We have tested both sign up to get the replay and not sign up to get the replay. I think making them sign up to get the replay is a good commitment that they have to make. That’s my preference, but if you want the mass amount of people to click and go watch it, you can also test having a video on the page, and it goes to the replay page. We run replay ads for 24 hours to people who signed up but didn’t watch. People who signed up and showed up live to the webinar, they immediately start seeing sales ads. 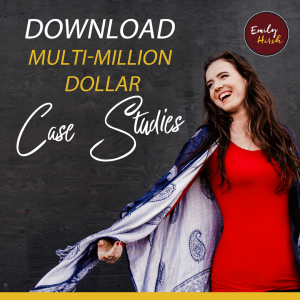 Whatever you pitched on the webinar (your course, your service, your application to book a call with you, whatever it is), that call-to-action has been put into a sales ad, and they are seeing those sales ads immediately after the webinar. Now after that initial 24 hours, we stop running replay ads. We usually push everybody to sales ads. Now I say “usually,” because there’s some cases where we’re pushing people back to an encore webinar. We’ve also done a small video that’s like a mini-webinar, but normally after the 24 hours of showing them replay ads, we push everybody to the sales ads, and we time those ads with whatever the promotion window is. A lot of our clients have three days or four days after the webinar that they have the cart open, or the discount, or whatever … You need to have urgency. Either your door is closed to your webinar, price goes up – something happens after three or four days after the webinar. My opinion, the ideal time frame and proven data, I think seven days with this strategy is too long, unless it’s like your once a quarter or twice a year launch. Then you have a little bit longer open cart, but everybody is getting those sales ads. Then finally, so this is bottom of the funnel ads… The top of the funnel is the visibility. Middle funnel is webinar registration ads and your engagement ads. Bottom of the funnel is replay ads, sales ads… Then the last bottom of the funnel ad that we run is that abandoned cart ad – so people who have taken action, clicked on your sales page or your cart, and not purchased – [we hit] them with ads, so important. Ideally, it’s video. Ideally, it’s a straight-to-camera video of you and/or you can mix in testimonials in there that would really help. You’re looking at people’s objections at this point. Basically, with this webinar funnel, we applied The Hirsh Process, and we perfected it for webinars, because we’ve essentially said, “Here’s all the steps of this customer journey and all the places somebody could possibly be; and we’re going to time them with ads.” It’s not that complicated. I don’t want to overcomplicate your marketing. I think people do that way too much. But you do want to meet people where they’re at with your Facebook ads. In addition to setting all these up, I want you guys to remember with the messaging, and the ad copy, and the way you set up your ads, that you’re speaking to the people based on the actions that they’ve taken. If they signed up for your webinar and didn’t watch it, tell them why they should watch the webinar. Share with them a comment that somebody made on the webinar about how this changed their life or how it was such valuable content. Make them watch that webinar, and then say, “It’s expiring in 24 hours, so watch it now!” You need to speak to them, give them urgency to get them to take action, and really look at where they are in the customer journey, so that you can get them to go to the next step. That’s essentially what you’re trying to do. That is our secret webinar funnel. It’s not super complicated, but it’s pretty innovative. In there, there’s a lot of room for doing super unique things and unique messaging. That’s where I want you guys to really play with the messaging and how you can talk to people. The biggest place that you’ll put in constant new things is that webinar registration. That’s where 75-85 percent of your budget goes, because ultimately we need to get people signed up for that webinar for this funnel to work. Then the rest of the budget, the 5-10 percent in visibility and the 5-10 percent in sales ads, is where a lot of the fine-tuning and money can be made. If you think you want a webinar funnel set up for you, and you love this, and you’re like, “Holy crap, it sounds way too complicated for me to do this, but I have a webinar/I want to have a webinar/I’m going to have a webinar…” go to helpmystrategy.com and book in a call with our team to see if we could help this up for you. We have tons of proven success, tons of innovative strategies, that we put in here in terms of the creative. But I just gave you the overview – if you’re not ready to work with an agency, you can do this yourself, and you can implement it. It’s highly, highly effective. Click here get insider access to our multi-million dollar ad campaigns! 65- An Inside Look At What We’re Doing To Prep For Our Own Launch! Sign up to get exclusive inside access to what’s working and what’s not working in the digital marketing world from an agency that sees it ALL every.single.day.